London has a long history with the LGBT+ community and is well-known for being a fantastic destination for people within the community. Whether you’re looking for the perfect night out, a spot of culture or a relaxing city break, London has it all. 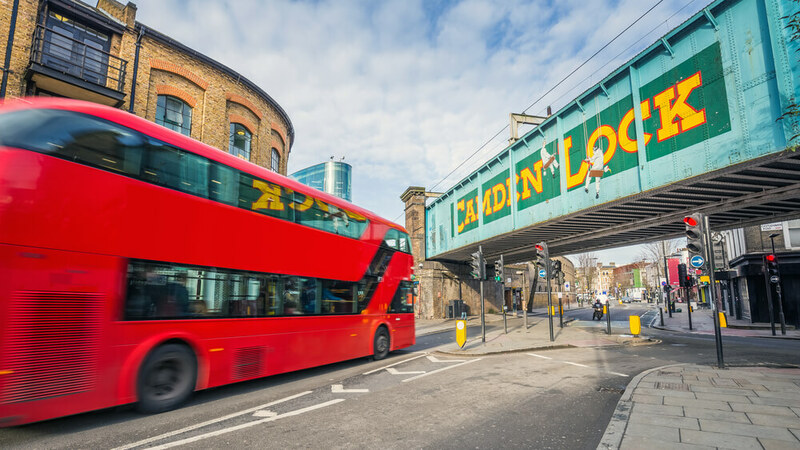 If you’re looking for an area of London that is perfect for the LGBT+ community, there are a few areas that stand out. Soho is known for being a popular area for the LGBT+ community, now and historically. Its connection with gay culture extends right back to the late 19th century into the 1920s when there were ‘gay-friendly’ cafes. These days, Soho is home to gay bars, clubs, restaurants, cafes, pubs and the London LGBT Tourist Office. Like Soho, Vauxhall’s history with the LGBT+ community dates back further than you may think. In fact, the relationship is thought to have started as early as 1660 when the pleasure gardens were opened. Now, there are plenty of gay venues, many of which host special events, making it a great destination. This exciting area of London has a great community vibe that makes it a particularly LGBT-friendly area of the capital. The market is a popular attraction which caters to a whole range of alternative tastes, and you can also find plenty of venues to drink, dance and meet people at. There are plenty of lovely romantic spots around London that would be perfect for everything from a first date to a wedding anniversary. 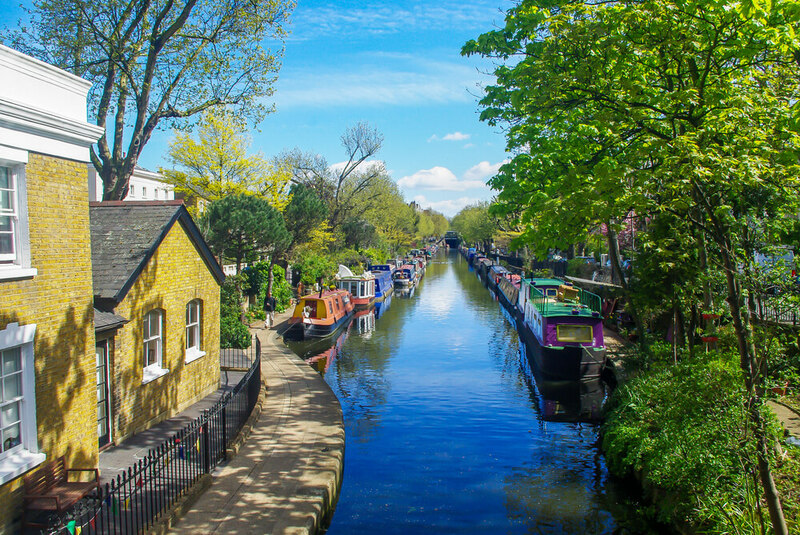 This tucked away area of London’s waterways is a wonderfully romantic spot where you can find great places to eat and drink while you walk by the water. You can even go on a narrowboat cruise to see the city in style. You can find an Electric Cinema in Portobello and one in Shoreditch, and this cinema experience is unlike any other. At the Shoreditch location, you can watch a film in one of the cosy armchairs, and at the Portobello location choose from armchairs, back row sofas and front row double beds. If you prefer spending your time out in the sunshine, Kensington Palace Gardens makes the perfect date location. With beautiful flower displays as well as the incredibly romantic cradle walk, this is a great place to spend time with your significant other. This fabulous wine bar is thought to be the oldest wine bar in London and provides the perfect spot for a romantic evening. The 19th-century look of the bar has been maintained so it provides a unique date location that feels incredibly intimate. Just make sure to get there early as tables are in high demand and can’t be booked in advance! You’ll never be short of things to do in the capital, and there’s plenty going on to suit all tastes and preferences. 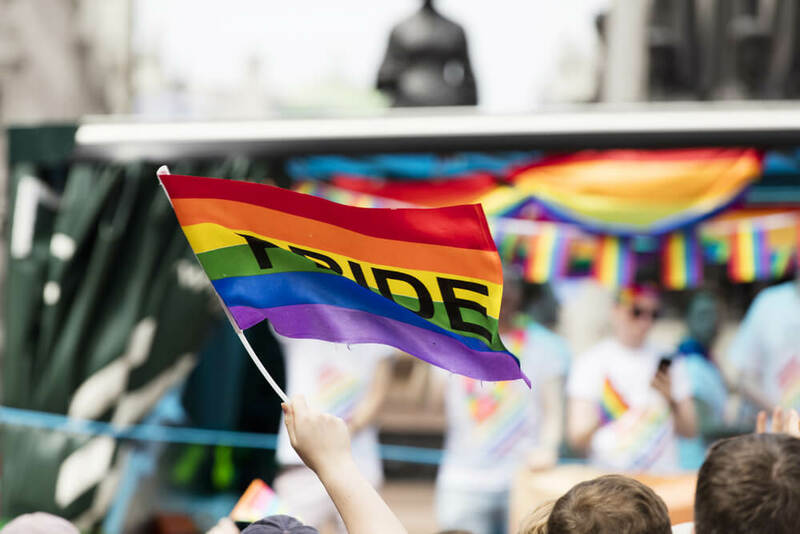 The city is full of history, and of course, there is a rich LGBT+ history woven throughout the city, so why not visit one of the historical landmarks? From the home of Virginia Woolf, to the Alan Turing statue in Paddington, or even Highbury Fields, where the Pride marches originated. Of course, London has plenty of tourist attractions to choose from. 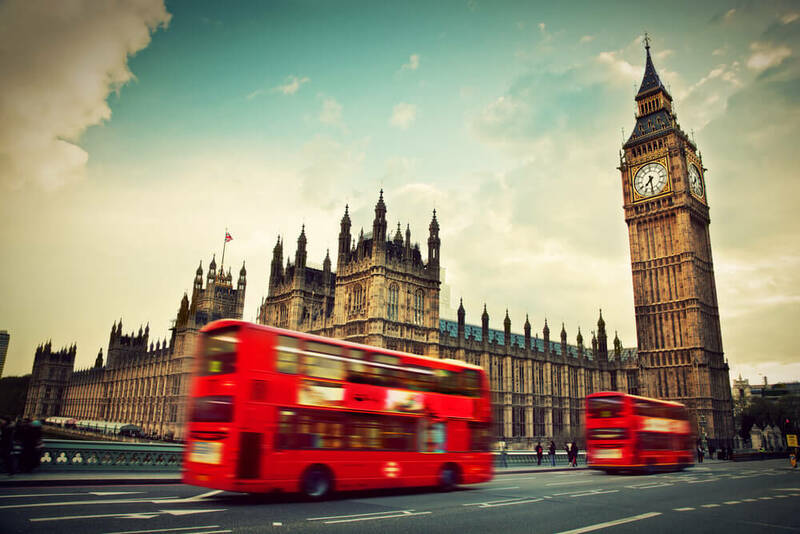 Whether you want to take a selfie outside Buckingham Palace or take in the city’s skyline on the London Eye, you could spend days just taking in all of the top tourist attractions. London is renowned for its West End where the best musicals have been showing for years. While in London, you might as well take advantage, head down to Shaftesbury Avenue and get tickets to see one of the top musicals such as Les Misérables, Wicked, The Lion King or Hamilton. No matter what interests you, there will be a tour to keep you entertained. You can choose from countless tours, such as the Harry Potter studio tour, boat tours up the Thames, open-top bus tours, or even a tour from London Gay Tours. London always has something going on, so no matter when you visit, you are bound to be able to find something going on at the local venues. However, there are a few events that take place every year that you may be interested in attending. There is so much more to Pride in London than the parade. With events taking place in the city in the weeks surrounding the parade, such as film screenings, speed dating events, shows, seminars and more. The festival has been running since 2011 and brings together some of London’s LGBT+ community most creative minds together to show off their artistic offerings. Every year, the city is treated to everything from feature films to workshops and even some wild parties to attend. Winter Pride is all about celebrating the culture and diversity of the LGBT+ community. This is another chance to get involved with the community in London with events that range from parties to art competitions. 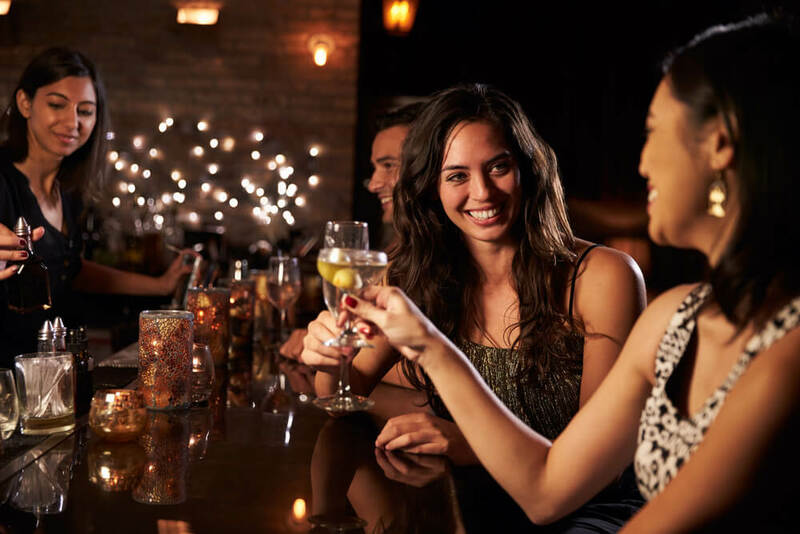 London is far from short of bars, clubs and other venues to enjoy a night out in, so no matter what type of night out you’re looking for, whether it is chilled and sophisticated or exciting and fun, you will be able to find somewhere to spend your evening. One of the best known gay bars in London, G-A-Y Bar hosts the perfect LGBT night out with three floors including a dedicated girls’ room. You can expect cheap drink offers and plenty of cheesy music, making for a fun night out. As the only exclusively lesbian venue, She Soho offers the perfect venue for lesbian women looking for a great night out. There’s plenty of entertainment with comedy, karaoke, quiz nights and drag king contests. Heaven is known as the world’s most famous gay nightclub, so you know that you’re sure to have a fantastic night out here. Opening in 1979, it was London’s first gay superclub and is now known to be frequented by gay celebrities and party-goers alike. By day, Dalston Superstore serves up some seriously good food, but by night, you can expect a fantastic club night at this venue which has been dubbed ‘London’s best pansexual party spot’. This underground spot is home to wild club nights that focus on giving the LGBT+ community a safe space to be themselves. Alongside club nights, there is an artistic community based at VFD which hosts various events throughout the year. Another underground space, Sedition is painfully cool with its different rooms playing edgy music that makes it the perfect place for people who are looking for something a little different. The Yard describes itself as ‘Soho’s most unique gay venue’, and it is certainly different from a number of other gay bars on the list. This venue has a touch of sophistication about it, providing a relaxed atmosphere within a particularly stylish location. XXL is a bar which caters to a very specific clientele - the bear community. It is an impressive all-male club which puts on huge club nights as well as being the founders of Bear Pride. If you’re looking for a quiet drink, Comptons may be the place for you. Known as the grand dame of Old Compton Street, this venue has a long history as a gay bar, but provides a relaxed and friendly pub vibe. Things get a little more lively at some weekends when DJ sets are put on. Due to its location in Soho, Freedom Bar has become a bit of a favourite spot with West End performers as they leave the theatre at night, so you can expect a bit of a theatrical vibe here. You can stay upstairs for a sophisticated drink in the trendy bar area or head downstairs to dance under the disco balls. 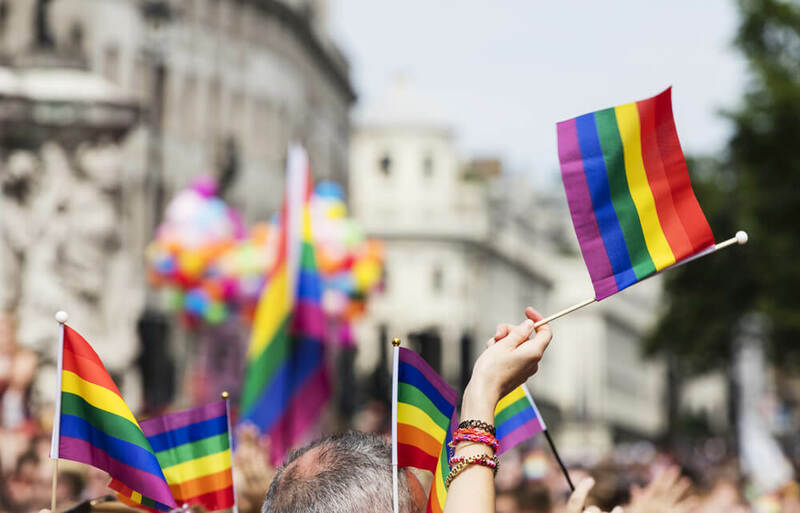 London is home to the UK’s largest LGBT+ community, so you can be fairly confident that all hotels in the area should be LGBT-friendly. However, you can find some hotels that are set up to be more LGBT-friendly, whether that is because of their location, atmosphere or they are associated with the International Gay & Lesbian Travel Association (IGLTA). Taj is a luxurious hotel with plenty of fine restaurants to choose from. There are a number of different types of rooms to choose from between the St. James’ Court and Buckingham Gate locations. Best of all, it is recognised by IGLTA as an LGBT-friendly hotel. The location of the Z Soho makes it perfect for the LGBT+ community as it is in the heart of Soho with many of the most popular gay bars and venues just a short walk away. This stylish hotel is again in the heart of London’s biggest LGBT area - Soho. Karma Sanctum provides a luxurious stay while offering fabulously decorated rooms which add a touch of glamour and beauty to your trip.